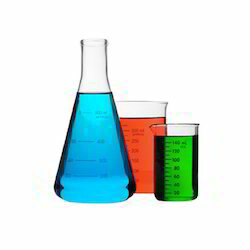 With rich specialization in this realm, we are the leading firm of Specialty Chemicals. This chemical is used in agriculture, cosmetics, manufacturing, and textile industries. These are processed by experts utilizing the optimum quality input, which is procured from top merchants of the market. Looking for Speciality Chemical ?